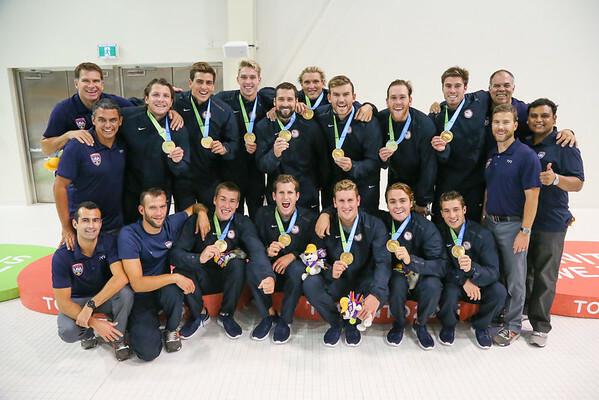 Colin Watson was the official photographer for USA Water Polo at the 2015 Pan American Games and was the perfect solution for our photography needs. Colin covered every single game (10 in total) as both of our teams won gold medals at the competition. He arrived early for every match and turned around images immediately after games for use on social media and web channels. He followed up with larger batches of images within 12 hours of the completion of each game, allowing us to share the experience of our teams at this important event extremely fast. He took instructions and suggestions well and offered to go above and beyond in getting the necessary images for our organization and our athletes. He was also pivotal during the gold medal ceremony for both our men's and women's teams securing the primary position at each ceremony to get excellent shots. His work was first class, he met our budget and we would have no hesitation in using him again in the future.